On the south coast of the majestic Tenerife, the incomparable beauty of Los Cristianos is sprawled by the bay of golden sand and azure waters. It is one of the most popular destinations in all of the Canaries and has the busiest port by passenger traffic in Spain to prove it. With such splendid weather all year round, breathtaking beaches, picture-perfect volcanic mountains, and endless fun activities for all ages, travelers have infinite reasons to keep coming. This island vacation mecca experienced tourism boom a couple of decades ago and is still making a splash. Even with its sudden success, development never ceased and has paved the way for this naturally gifted coastal town to become the spectacular destination it is today. And with the way things are going, it’s safe to say there’s no way to go but up, up, up for this old fishing village turned world-class resort. Los Cristianos, although of a modest populace, has been a bustling port since the 16th century. At the turn of the 20th century, the once small community blossomed, and the harbor thrived like never before. Needless to say, the local economy flourished, and the need for a larger port was apparent. And so, in 1934, one that could accommodate larger ships was constructed. By 1975, a new and bigger one was also built on the same site. The coastal paradise owes its tourism success to a Swedish man, Bengt Rylander or Don Benito as called by the locals. In 1956, the former writer and TV commentator came to Los Cristianos hoping that the wonderfully warm climate and fresh air would ease his ailments. Eventually, he recovered, and word quickly spread. By 1957, several friends who were also suffering from illnesses joined him. 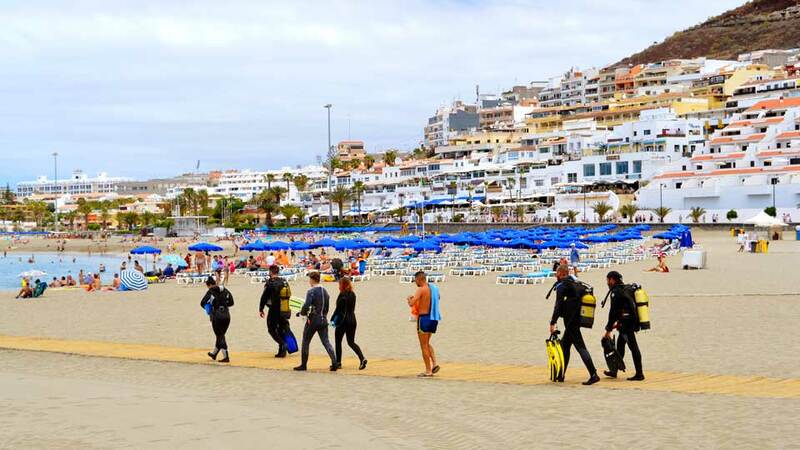 Although Los Cristianos started as a resort for ailing and recovering Swedes in the late 1950s, it took a big leap into the tourism business the next decade, and a growing number of travelers from other Europeans nations found their way to its sandy shores. What truly turned things around for the fairly young seaside resort was the inauguration of the new international airport, Reina Sofía, in the autumn of 1978. By the end of its first year, a million passengers had landed on its runway, a large number of which headed to the promising Los Cristianos. Tremendous expansion happened in the 1980s, and the waterfront wonderland turned into a hot vacation destination. From its humble beginnings, as an old fishing town and then a commercial shipping harbor, Los Cristianos is now the very essence of a perfect island getaway. This utopia by the sea is considered one of the most attractive beach destinations in Europe, and the reasons are as clear as its blue waters. With two breathtaking golden sand beaches, a secluded black volcano pebble beach, marvelous fishing harbor, never-ending activities, and a whole year of lovely weather, how can it not be? Most resorts offer one beautiful beach and an endless promise of fun. 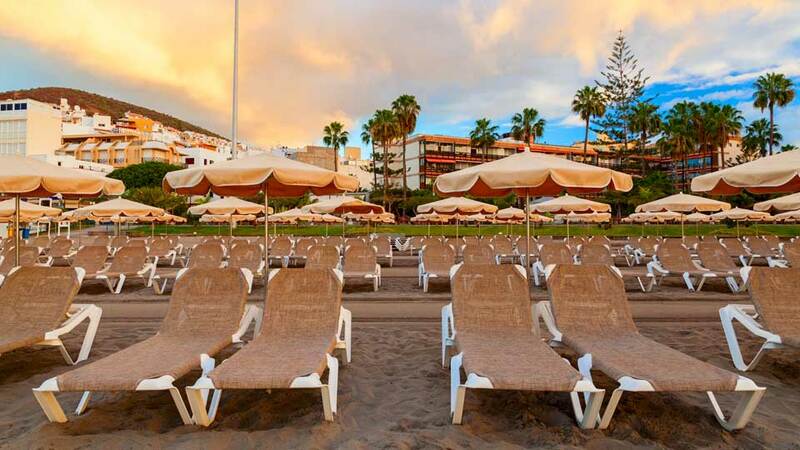 In Los Cristianos, they make sure they are ahead of the game with two magnificent golden sand beaches and one with fabulous volcanic black sand where people can lounge and do enjoyable activities. There’s really not a good enough reason why travelers should settle for less. In this old fishing village turned top-notch tourist center, they don’t have to. Although naturally beautiful, enhancements made on Playa de Los Cristianos and Playa de Las Vistas gave them their superstar status. 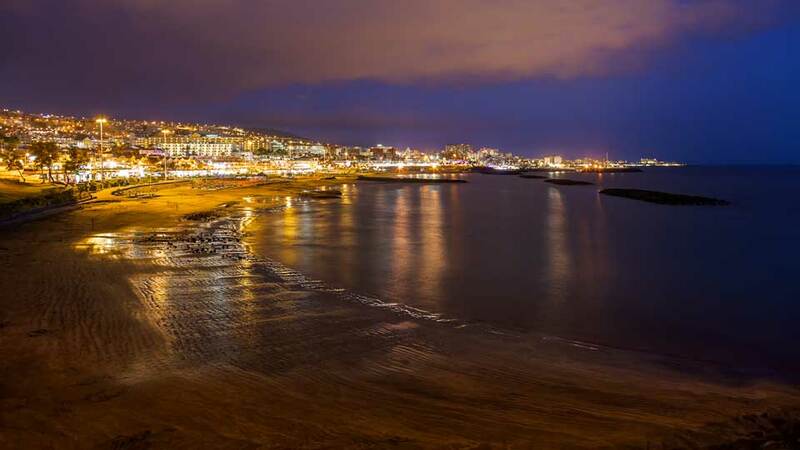 With overlaid imported fine golden sand from the Sahara, a harbor and man-made breakwaters to keep the seawater calm, the two Los Cristianos beaches got a makeover that made them a premier holiday destination. Sublime seashores that meet clear cerulean waters and majestic mountains just behind a village of old charm, it really can’t get any better. Playa de Las Vistas has an enormous stunning fountain near the center of the shore that gushes sea water for an even more dramatic look. With a length of 850 meters and width of 127 meters, it has a wider shoreline compared to its next-door neighbor. Not to be outdone, the Playa de Los Cristianos has a length of 975 meters and a width of 40 meters which makes it longer than the prior. Travelers always play favorites, but with two adjoining sandy spectacles, they really don’t have to. For visitors craving for a bit of adventure and a secluded spot where they can unwind while appreciating exquisite views, a fascinating nameless black volcanic sand beach accessible only by foot via a quick walk past the palatial Arona Gran Hotel comes highly recommended. Although a bit challenging, the 30-minute walk up the cliffs of Montaña Guaza is very well worth it. Risk-taking explorers will not be disappointed with the extraordinary scenery that awaits them. Despite its nondescript status, it’s a hidden gem that will surely satisfy even the hardest-to-please wandering souls. No matter how beautiful a place is, if there’s nothing to do, people will eventually get bored and lose interest. But that is not possible when in Los Cristianos. Aside from lounging and playing volleyball on the two pastel daffodil sand beaches, a host of activities is also available in the dazzling waters. Families will enjoy pedalo boating, kayaking, or dolphin and whale watching, while groups of friends can go on fishing trips and party cruises. Thrill-seekers will get their hearts pumping while windsurfing, jet skiing, sailing and riding banana boats. Discover the underwater paradise by going on deep sea safari trips in glass bottom boats and diving excursions. While in Los Cristianos, travelers can maximize their vacation time by going on pleasure cruises to the neighboring islands of El Hierro, La Gomera, and La Palma. Parents can also send their children to a resident sailing school for a holiday well spent. If they want to experience Canary Islands style entertainment programs, the town also organizes those in the summer. 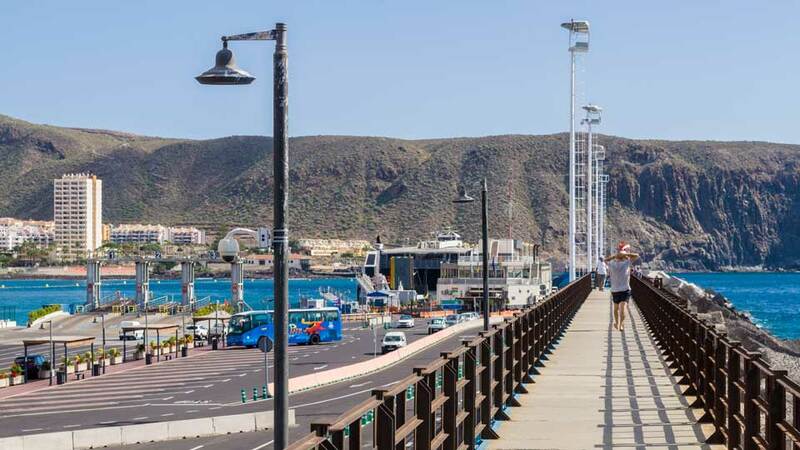 The longest barrier-free promenade in Europe stretches from Las Vistas Beach to Playa de Las Américas, and it’s one that travelers should never miss. During daytime, a beautiful panorama of golden sand meeting the expansive blue sea stares back at people. Meanwhile, ferries come and go in plain view of guests sauntering by the esplanade. By night, the lights shine the brightest in a plethora of restaurants, bars, and cafés that offer both international and Canarian dishes. 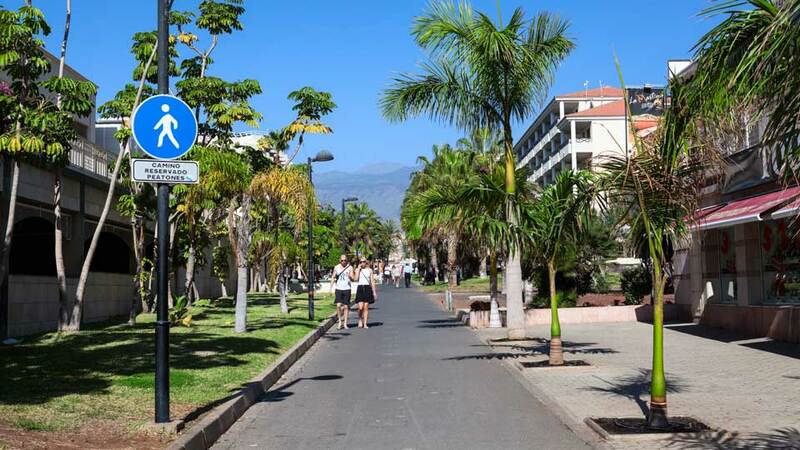 Promenading is one of the best activities tourists can do when in Los Cristianos, and it’s free too. There is more to this town than just magnificent beaches. This once fishing village has a charming square by the harbor, captivating streets with establishments in original architecture, lively shopping scene, a variety of restaurants, and a busy nightlife. Vacationers will never run out of things to do in Los Cristianos. They say, “whoever said money can’t buy happiness didn’t know where to shop.” Judging by the crowded shopping centers in this seaside cosmopolitan, it seems people definitely found the holy grail of retail. With plenty of shopping malls, a maze of boutiques and small stores, and a street market every Sunday, purchasers won’t need to look hard for great buys. In the evening, restaurants, tapas, nightclubs, pubs, and discos come alive. People usually head to restaurants first to satisfy their palates to prepare for the long night ahead. After a sumptuous dinner, booze and partying begin. For tourists who prefer a more easygoing after-dinner activity, there are plenty of waterfront bars with subtle live music they can go to. They can also stroll along the promenade and watch the stars while listening to the soothing sound of the sea waves galloping to the shores. The public transport system is an excellent way to go around the island as it is fast, cheap and reliable. Titsa Bus, the official bus company of Tenerife, is also one of the best in Europe. From the capital Santa Cruz de Tenerife, travelers take either bus line 110 or 111 to reach Los Cristianos. 110 is an express bus with direct service to Costa Adeje, and Los Cristianos is one of its few stops. It departs every 30 minutes from 6:55 to 20:25 and takes about an hour. Bus line 111, on the contrary, has more stops, which includes the South Airport, so this is recommended for those coming from the airport. It leaves every 30 minutes from 5:30 to 21:30. Tourists can also hire a car or hail a taxi. Either way, they must go through TF1 Motorway from the capital to Los Cristianos. In the town itself, although taxis are readily available, most tourists travel by foot as most places are easily accessible, and a lot of walkways are wheelchair friendly. As tourism is the town’s bread and butter, travelers are undoubtedly well taken care of and treated like royalties. They will never forget this old fishing village’s famous brand of hospitality. There’s always a warm welcome from the huge array of accommodations in and around Los Cristianos. And there’s surely a place that suits everyone’s needs and wants. The very chic boutique hotel H10 Big Sur is a highly rated for adults only accommodations, and it is particularly popular amongst couples. Guests love the location of this hotel and its near proximity to many tourist attractions. 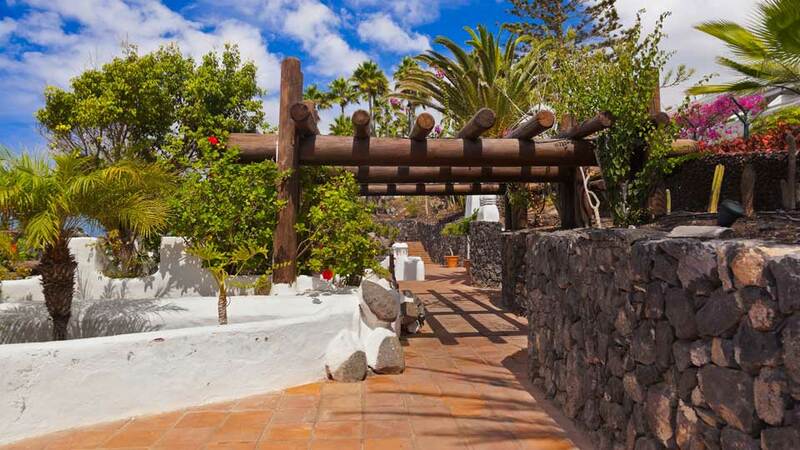 It’s just a 4-minute walk away from Playa de Los Cristianos and 10 minutes’ walk to the fishing harbor. Tenerife South Airport is also just 15 km away so the drive from and to won’t be too long. Should guests prefer to stay within the hotel grounds, there’s an outdoor pool with a sun terrace surrounded tropical gardens. 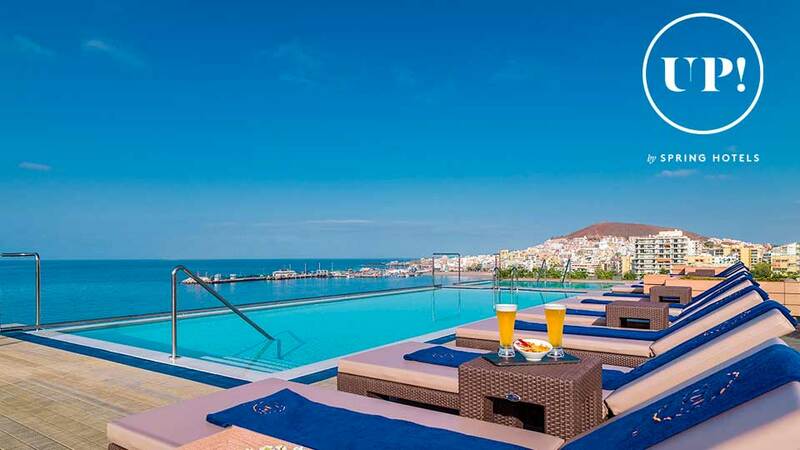 Perhaps the most excellent feature of the Paradise Park Fun Lifestyle Hotel is its rooftop terrace where the panoramic views of Playa de Los Cristianos and Mount Teide can be seen and appreciated. The property is also loaded with terrific amenities such as its five swimming pools, 4 hot tubs, sauna, fitness center, and Turkish bath that make every stay so relaxing. Although just a 13-minute walk away from the beach, and they even provide free shuttle service to Playa de Las Vistas and the town center, guests never have to leave the hotel to experience paradise vacation. 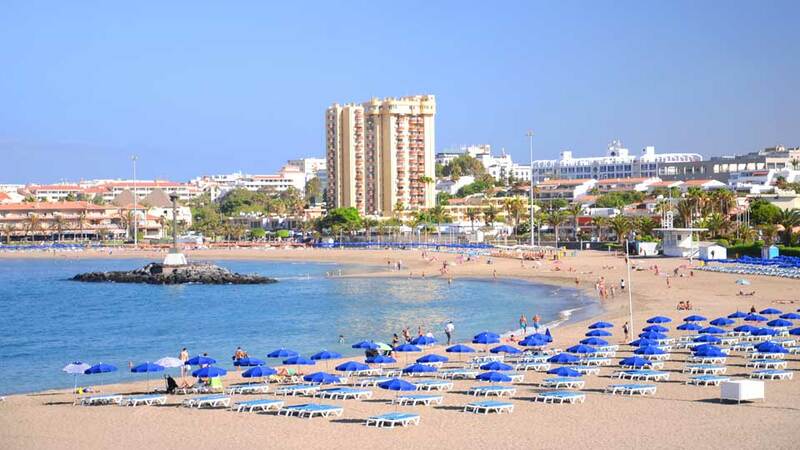 The Cristianos Beach complex is just a minute walk away from Playa de Los Cristianos. And because of its close proximity to the beach, their apartments and penthouse boast an exceptional view of the promenade, the beautiful bay, and the harbor. Bike and car hire are also available on the property for those who want to wander around the town. But with a seascape as impressive as the one just outside its doorsteps, guests never really need to go far. For tourists traveling with their furry friends, Apartment Las Vistas is the perfect place. The property is just a minute walk away from Playa de Las Vistas and, therefore, offers a superb view of the beach. 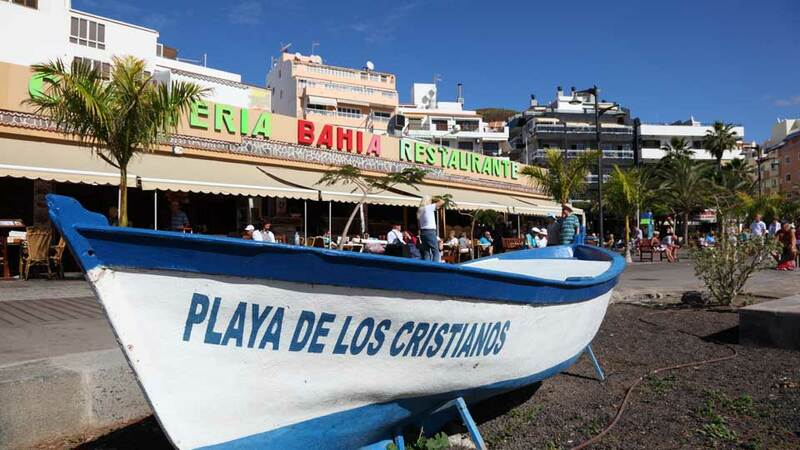 Playa de Los Cristianos is also pretty close, and the best restaurants in Los Cristianos are in the same block. Pets are allowed with extra cost, and each apartment has a fully equipped kitchen and other room amenities for a truly comfortable stay. A home away from home is exactly what it is. Nothing can burn an amazing holiday to ashes faster than bad food. At the same time, a scrumptious meal can also make a trip unforgettable or, possibly, even perfect. So, it’s a must for a vacation paradise to also be a food haven. No ifs or buts. At Los Cristianos, even with countless excellent restaurants, there are those that stand out, and they should not be missed. Casa Tagoro Restaurant makes art on a plate. All the dishes look so exquisite that diners can’t help but stare in awe before taking a bite. And that first bite is always explosive, they feel like fireworks went off on their palates. 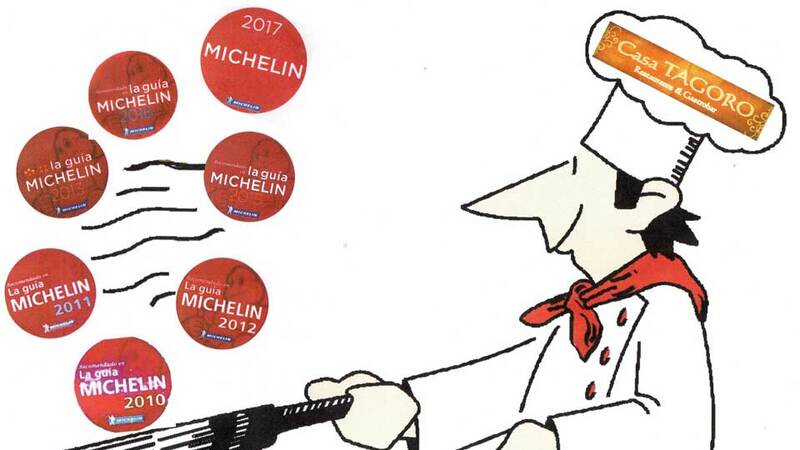 Such is expected from a Michelin Star venue. Never leave Los Cristianos without trying at least a few of their best-sellers like watermelon soup, French goat cheese with mushrooms and red pepper, asparagus risotto, foie gras, duck breast, langostino, and Sunday pork paired with vintage wine. Before ending the amazing food experience, taste their chocolate mousse, creme brûlée, or chocolate pudding for dessert. A contented smile on everyone’s faces after a meal is guaranteed. Arguably the most famous restaurant in Los Cristianos, Oliver’s With a Twist Restaurant serves mostly European dishes with a twist (as their name suggests). And because it’s fully booked all the time, it’s common for customers to patiently wait for a callback if there was a cancellation or they just book months in advance. Anything from their menu is heavenly, but their most popular ones are langoustines, sea bass, turkey pie, Thai fish cakes, braised beef, haggis stuffed chicken, pork belly, Indian spiced cod fillet, spicy meatballs, and fillet steak. For dessert, try banoffee pie, tiramisu, or profiteroles. For a five-star dining experience, do not miss this place or at least just keep trying. One of the tourist favorites, the Yim Siam Thai Food Restaurant is often described as the best Thai restaurants outside Asia, and it’s definitely living up to its reputation. Their most popular dishes are papaya salad, king prawns, red tofu curry, pad thai, chicken satay, fruity fried rice with pineapple, duck in red sauce, green chicken curry, and spring rolls. Everything from their menu is cooked just right and delicately presented, definitely a 10/10 restaurant. The very simple Taylors Lounge Restaurant is considered the best sports bar in Los Cristianos and has a growing loyal fan base to prove it. No complicated foods or hard to pronounce names, just dishes cooked right and plates always go back empty. Their best-sellers are fish and chips, BBQ ribs, all their sandwiches, special chicken, Sunday roasts, chili, and nachos. There are 12 big screens so everyone can watch football from anywhere, drinks keep coming, and the food is always served hot. Definitely the go-to sports bar in town. The harbor in Playa Los Cristianos and breakwaters in Playa de Las Vistas protect the bays against rough sea waves so even the little kids can enjoy the tranquil waters. Adventurers have a host of exciting activities to do that it is hard to decide which one to try first. Marine life enthusiasts fall in love with the abundance and colorfulness of the underwater world. Naturists enjoy the Canary Islands sun in the secluded black volcanic sand beach. Handicapped travelers feel valued with the many walkways that are wheelchair friendly. Foodies claim they have found the perfect place for their food exploration. Los Cristianos is the prime example of how tourism should be done. Travelers get to experience paradise living while also feeling right at home. There’s always something engaging and captivating for people of all ages. And the sun shines brighter and views are so much more stunning when everybody’s just having fun. When tourism is done right, satisfaction is guaranteed.